As a newbie learner, I am struggling with the usage of thumb of my left hand (right handed guitar player), i.e. where and how to place the thumb, behind the fretboard. Sometimes, I feel that I am using the thumb as a "clamp" or an "anchor" using it to apply pressure on the strings, and that is causing significant slowdown in my chord-changes. If I consciously try to keep my thumb "mobile" (less "sticky") I sense that I am getting some fret-buzz since insufficient pressure is applied on the strings. As a result, I am slow and clumsy in my chord changes. What is the right way to use the thumb s.t. it is not slowing me down ? Some guidance would be very helpful. My slow speed of chord changes, is resulting in very jarry transitions. The issue at hand is more complicated than just your thumb. It is possible to use your thumb to compensate for other parts of technique that are missing. I defer to @RockinCowboy. His comments directly about the thumb are good. To reinforce: When you get into a position where you are locked into a squeeze on the neck of the guitar, it takes longer to transition from and to a new squeeze. When you squeeze the strings down using only your thumb and fingers, you slow your hand down. The thumb, and your fingers are just part of a bigger team that should be working in concert to bring the strings to the frets. This team includes much of your body, but the key ingredient is your left arm (assuming your are right handed. Use your left arm to gently pull back on the neck of the guitar. Sometimes with some techniques your right arm will be needed to support the body of the guitar as it rests and plays.). This will translate into pressure on the strings and distribute the burden of pressing the strings down so that your thumb has less to do. You should use your thumb too, but it is possible to play without it. When I spoke of this with my students, I would demonstrate by playing without my thumb touching the strings to prove that it is possible. To be clear: Don't play without your thumb. Your thumb still has a role to play in pressing down the strings, it just should be shared with your body and the way you hold the guitar and the neck. Caveat: it is possible to overdo it and change the pitch of your playing and cause extra stress on the neck of your guitar. Try to balance the work of your arm and the work of your hand. If your guitar is being held in a stable position where it resists being pulled back, this improves the force your fingers apply to the strings. You need not be rigid, and there are many ways to achieve this depending on instrument and sitting versus standing and comfort, but the stability of the guitar helps you to press down the strings. Allot of times, the stability will come from your right arm, but not always. Sometimes it is the weight of your instrument, or you strap or your leg, or a combination thereof. Don't use the gripmaster. The reason is the rest of my answer as well as the following: Your hand and it's muscles will slow down as you build strength in a bodybuilder sort of way. You need a stretchy runner/athletic/yoga/dancer kind of strength to your hand, which is not exactly compatible with bodybuilding and the gripmaster. You get the correct kind of strength from practice and technique. I do like @RockinCowboy's idea about heaver strings. The opposite is true too. It may be that your strings are too heavy already. An acceptable alternative to the grip master are the foam stress objects that physical therapists often recommend. Also these Happiness/YinYang Balls are great for training the muscles into a positive guitar direction. If the hypothetical audience can see your thumb then you have likely wrapped your hand around the neck. If you have wrapped your hand around the neck, then your palm is probably resting on the back of the neck. If your palm is resting on the back of the neck you are likely to be bending your wrist. If you are bending your wrist while you play you are working on a case of Metacarpal tunnel syndrome. It is possible to have some of these symptoms and still be in the range of proper technique (see @BartekBanachewicz's very helpful comment). If you have a really big hand, then having these problems is less likely. The metacarpal is a tunnel in your wrist where the tendons connect your finger muscles to your fingers. Most of the muscles for your fingers are in your forearm. Bend the tunnel and move the tendons and your movement is slower, also your tendons will swell. Metacarpal tunnel syndrome is the permanent or semi permanent swelling of these tendons. An issue that we sometimes blame the thumb for, when we sound bad, is finger placement and accuracy. As a beginner you will have difficulty being consistent in your finger placement. There are many things that go into making it easier to press the string to the fret and get good sound. The effective part of your finger is smaller than many beginners consider. You should support the string with the bone inside your finger. One thought is that as a beginner, it is OK to sound bad. You will improve your sound as you improve your finger placement. So improve your finger placement. A controversial position I take is that you should be close to the fret. It is more effective to be close to the fret, but you can unintentionally alter the pitch if you press too hard. So it is a light technique that I advocate. Light sounds faster right? Consider practicing spending some time just moving back and fourth between chords over and over. Consider that most beginners move one finger at a time, but the goal is to move all your fingers in concert. If you meet the goal, then your movement takes the time of moving one finger. If not then your movement takes the time of moving however many fingers are involved in the chord. Math says that the later is slower. Sometimes, when I want to get used to a weird transition, I imagine that my fingers are on some sort of set of disks that rotate and guide my fingers into the correct position. Don't worry if you cant relate to my rotating disks, but do try to be able to control and feel all your fingers moving to the correct new chord together. Sometimes I do admit that I am really cheating. If you pair finger movements, you can save time even tho you are not moving all at once. In other words, it is good progress to move two fingers together at a time. You can also improve your speed by concentrating on your biggest problem. Switch up the way you move, just for speed and just for practice: for any transition, determine your slowest finger and practice moving that finger first. I would talk about barre chords here, but lets just say that there is so much to say that it should be a separate question that probably already exists. It is entirely possible, with some cheep or damaged guitars existing in the world, to lay the blame of poor sound and buzzing on the instrument. You can double check this in a guitar store by trying out some expensive models and compare your performance skill on those to your skill on your own instrument. Many guitar teachers will encourage you to place the thumb close to the center of the neck when forming most chords. Some chord shapes will require a shift more towards one side or the other of the neck in order to contort your fingers to the proper position to fret the required strings. However, depending on the anatomy of your hands, it may be more comfortable and easier for you to place your thumb in a different place. To some extent, the shape of the neck my alter the optimal thumb placement. Necks are often described as thin or chunky. Also there are C shaped necks, D shaped necks and V shaped necks. You should avoid clamping your thumb over the top of the neck when playing barre chords, unless you are using your thumb to fret the bass strings. Classical guitar purist do not recommend the thumb over the top of the neck, but many guitarist find it much easier to play certain chords that way. The ability to cleanly fret all the strings with barre chords will improve as you play more. Until you build more strength in your fretting hand, you might consider lighter gauge strings or lowering the action to reduce the amount of pressure required to cleanly fret all the strings. I personally keep my thumb position very close to the center of the neck for all barre chords. But I have short fingers. I know many excellent guitarist who have long fingers, who do very well positioning their thumbs well north of center or even above the top of the neck. I sincerely believe that your optimal thumb placement on a given guitar neck could very well be different than mine because your hands and fingers are shaped differently. I can say that placing the thumb in or near the center of the neck does make chord transitions faster. And eventually it will become easier to play a clear buzz free barre chord as you develop the necessary strength. If your grip strength is very weak, you could try a strengthening tool like this Gripmaster strengthening tool to give you a head start in building your grip strength. Many similar devices are sold at music stores, although I have never tried one myself. And Amalgamate makes some good points about the dangers of over training the muscles used primarily for grip as the resulting bulk and tightening of muscles could hinder your flexibility and perhaps even slow you down once you reach a certain level. The best way to build strength in your fretting hand is to play. The more you play, the more you will develop the specific muscles needed in your fretting hand and arm for everything you need to do with it. If you have access to a second guitar, you could put heavier gauge strings on it and play it for the purpose of building strength. But be sure not to over train your muscles without adequate recovery time between "workouts". Keep practicing and enjoy the process. If any one part of your body is having to apply a lot of force to the guitar, your shape and position changing is going to be slow. That's because however strong your are, it is always going to take time to release pressure, move to another position, and put pressure on again. That's also a recipe for strain injuries. Let your whole upper body share the work. Move your left elbow around so that your fingers can get in roughly the right shape for a chord without bending your wrist or putting your fingers in too unnatural a position. Let your fingers focus on getting in exactly the right shape for holding the chord, rather than pressing hard. 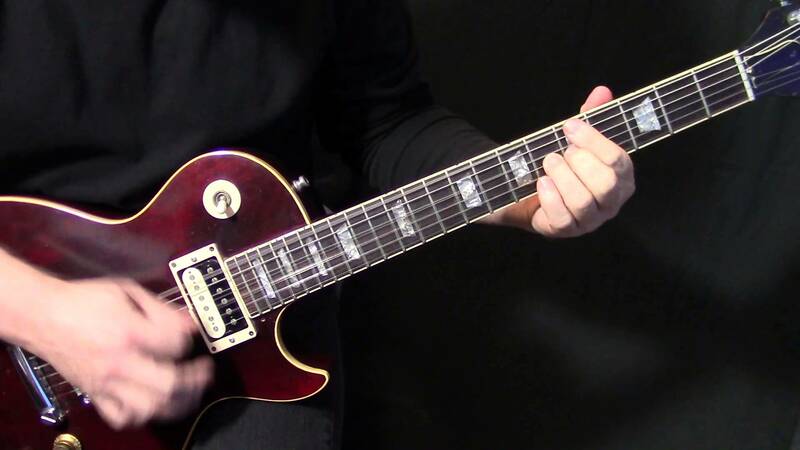 If you're pressing hard, not only are you going to slow yourself down when moving to the next chord - you'll also find it hard to move a finger or two when you're trying to do chord-melody style riffs. Where possible/necessary, you can use a bit of right arm pressure on the guitar body to take some of the strain off your thumb. Make sure your guitar is doing its job too. An awful lot of instruments come from the shop set up in a way that an F barre chord (for example) takes too much pressure. Make sure your action is low enough for the techniques you're trying to use. Also, make sure your guitar is high enough and stable enough to be able to adopt all the positions you need comfortably. You shouldn't be needing to hold the instrument up with your left hand. So, I haven't talked about the thumb much have I? The only generally-applicable thing I can say is, make sure it's working as part of 'the team'. Sometimes you may want only the tip of your thumb on the back of the neck for maximum range of individual finger movement; Other times, it can relax and lie along the back of the neck as a guide, with you only needing to push gently with your palm; sometimes, you even need it wrapped round the front to assist with muting (this is admittedly more relevant to bass playing, in situations where you can't use right hand muting, but comes into electric guitar playing too). And as others have commented it also depends on the instrument - cross-section of neck, width of fretboard, and so on. Every position will make some things easy, and other things harder. Whatever you want to play, get into the body position that makes it easiest, and if you're doing it right it shouldn't feel like you're pressing very much at all. Not the answer you're looking for? Browse other questions tagged guitar chord-progressions or ask your own question. Full chord on left hand for travis picking? Are fast chord changes about muscle memory or finger strength?